In Part 1, we talked about the basics of playing craps. We covered the most common craps lingo you’ll hear in land-based casinos as well as what you can expect when you play craps online. And I mentioned two of my favorite online casinos (Bovada Casino and Slots.lv), both of which allow you to play for free. In Part 2, we’re going to focus on the practical mechanics of the game. You’ll learn about craps odds, the house’s edge and the best (and worst) types of bets to place. We’ll also talk about several misconceptions that have managed to persist about the game and reasons why some players seem destined to lose their bankroll. We have a lot to cover. Let’s begin with the house’s edge. The house’s edge is based on two factors: the odds of making certain rolls and the payout offered for any given bet. Once you have a firm grasp of those two elements, much of the mystery that surrounds craps evaporates. The odds of rolling a two or twelve are 1 in 36. That translates into a probability of 2.78%. The odds of rolling a three or eleven are 1 in 18, or a probability of 5.56%. The odds of rolling a four or ten are 1 in 12, or 8.33%. The odds of rolling a five or nine are 1 in 9, or 11.11%. The odds of rolling a six or eight are 1 in 7.2, or 13.89%. Finally, the odds of rolling a seven are 1 in 6, or 16.67%. Below is a summary of the different types of bets you can make on craps, along with their respective payouts. Remember, the payouts determine the house’s edge. From the above numbers, you can calculate the house’s edge on any given craps bet. And THAT means you can identify which bets are most likely to result in a payout, and which are most likely to hurt your bankroll over the long run. Technically, the best bets on craps are the odds bets (Pass Line Odds, Don’t Pass Line Odds, Come Bet Odds, Don’t Come Bet Odds). These are wagers on which the house’s edge is close to zero (0%). How close depends on whether you can place 2X or 3X odds (it varies by casino). The catch is that you can’t just walk up to a table and place an Odds bet. You have to first place a Pass Line, Don’t Pass Line, Come or Don’t Come bet. The good news is that the house has a very low edge on these latter bets. The edge on the Pass Line and Come bets is only 1.41%. The edge on the Don’t Pass Line and Don’t Come bets is even smaller: 1.36%. These are the wagers to place if you want to maximize your chances of winning at craps. It’s worth mentioning that the Don’t Pass Line and Don’t Come bets are wagers against the shooter. If you’re playing in a traditional casino, proceed with caution. The other players – the ones betting WITH the shooter – are likely to grumble if you win since you’ll be doing so at their expense. Another good bet is the Place Bet on six or eight. As noted above, it pays 7:6. The house’s edge is a slim 1.51%. If you’re willing to assume a bit more risk, consider the Lay Bet on four or ten. This is a wager that the shooter will roll a seven before rolling a four or ten. It pays 1:2 and has a house edge of 2.44%. Clearly, it’s a riskier bet than the other ones we’ve talked about in this section, but it can still be a useful component of your overall strategy. Let’s now take a look at the worst bets you can place in craps. The absolute worst bet is Any Seven. The house’s edge is 16.9%. You may as well buy a lottery ticket (or just set fire to your money). Almost as bad are Proposition Bets. A Prop Bet on two or twelve pays 30:1. That alone tells you there’s very little chance you’ll roll those numbers. Recall from earlier that the probability of rolling a two or twelve is only 2.78%. The house’s edge? 13.9%. A Prop Bet on three or eleven pays 15:1. As we noted above, there are more ways to roll those numbers than rolling a two or twelve. But don’t get too excited. Recall that the probability of doing so is only 5.56%. The house’s edge on this wager is 11.1%. Hardways are also terrible bets. The Hardways on four or ten pays 7:1 with a probability of 8.33%. The house’s edge is 11.1%. The Hardways on six or eight pays 9:1 with a probability of 13.89%, giving the house an edge of 9.09%. To recap, Any Seven, Proposition Bets and Hardways are sucker bets. Now that you recognize the best and worst bets in craps, let’s talk about strategy. First, there is no foolproof craps system that will consistently deliver a profit over the long run. The house’s edge, always above 0.0%, sees to that. You may at some point run into advocates of the Iron Cross System, Fibonacci System and Martingale System. Each of these systems proposes a different betting methodology that is supposed to boost your chances of winning, or at least help you to recoup your losses. I strongly advise steering clear of them. Have said that, you CAN develop a strategy that gives you the best possible chance of winning. All you have to do is focus on the numbers (probabilities and payouts). I recommend sticking to the bets that have the lowest house edge: Pass Line, Don’t Pass Line, Come, Don’t Come, Odds and Place Bets on six and eight. If you’re feeling lucky, place Lay Bets on four and ten. And always take odds. You shouldn’t be wagering Place Bets unless you’ve already wagered the maximum allowed on your Odds bets. Definitely stay away from the sucker bets. They won’t do your bankroll any favors (though the house will thank you for placing them). It’s also important to learn how to manage your bankroll. Money flows fast in craps – in both directions, but generally in the house’s direction. Put too much on the table at one time and you risk blowing yourself up. In summary, stick to the bets that give the house the lowest edge and design a bankroll management plan that helps you to make your money last as long as possible. 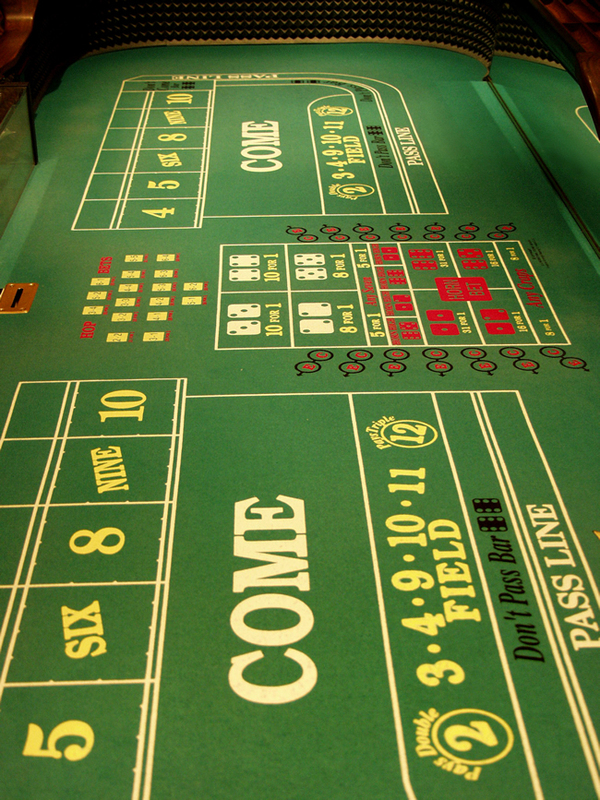 A number of odd misconceptions about craps have managed to persist despite common sense. It’s worth debunking some of the most common ones. A lot of people think a pair of dice showing seven to a new shooter is bad luck. The superstition is so common that stickmen at land-based casinos are trained to prevent it from happening. But of course, it’s nonsense. Whether the dice show seven, eight or any other number has no effect on how they’ll land. Another fallacy is that seven and eleven are lucky. This belief stems from the fact that both numbers often appear – and when they do, pay out even money – as the shooter tries to set the point. Keep in mind, there is a higher probability of rolling a seven than any other number. Combined with the probability of rolling an eleven, there’s no mystery concerning why those numbers show up so often. Many craps players believe the game is rigged online. They assume online casinos have adjusted their software platforms to ensure players lose their money – and quickly. But that’s untrue. Legitimate online casinos like Bovada and Slots.lv use a random number generator (RNG) to guarantee fairness. They have an incentive to do so since both sites’ success depends on fostering trust among their customers. If you harbor any of the beliefs above, let them go. There’s zero truth to them. They’ll only encourage you to dismiss the math behind the game, which is the only true predictor of outcomes. Why do some craps players seem to lose faster than others? Are they just unlucky or is something else amiss? You may have witnessed this at traditional casinos. Some players can nurse their chips and last a long time while others step up to the table and leave empty-handed minutes later. The most common problem is that “unlucky” players tend to place terrible bets. And by “terrible,” I’m referring to bets that give the house a huge edge (e.g. Any Seven, Prop Bets, Hardways, etc.). Another problem is that they play expecting to win. As I mentioned earlier, the house has an edge on every single bet. The exceptions are the Odds Bets, but you have to place an initial bet (e.g. Pass Line Bet, Don’t Pass Line Bet, etc.) in order to take advantage of them. The house’s edge all but guarantees you’ll lose money over the long run. Additionally, “unlucky” players are often low on funds. Their bankrolls aren’t large enough to tolerate short-term losing streaks. You can’t step up to a craps table with $50 and expect to strike gold. You need enough cash to withstand short-term losses. I mentioned earlier that Bovada Casino and Slots.lv allow you to play craps online for free. 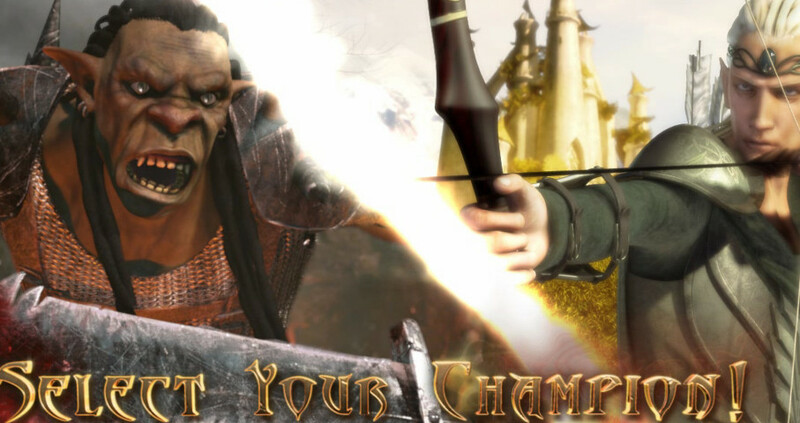 You can enjoy the game and learn the ropes without risking your money. There is literally zero risk. If you don’t have an account at Bovada or Slots.lv, I recommend visiting both sites. Take both of them for a test drive. Play craps with $1,000 in “practice” money to get a feel for the game. Register to play for REAL money whenever you feel ready.